These vegan brownies are rich, thick, low in fat, and delicious! Made from organic, unbleached whole wheat pastry flour. 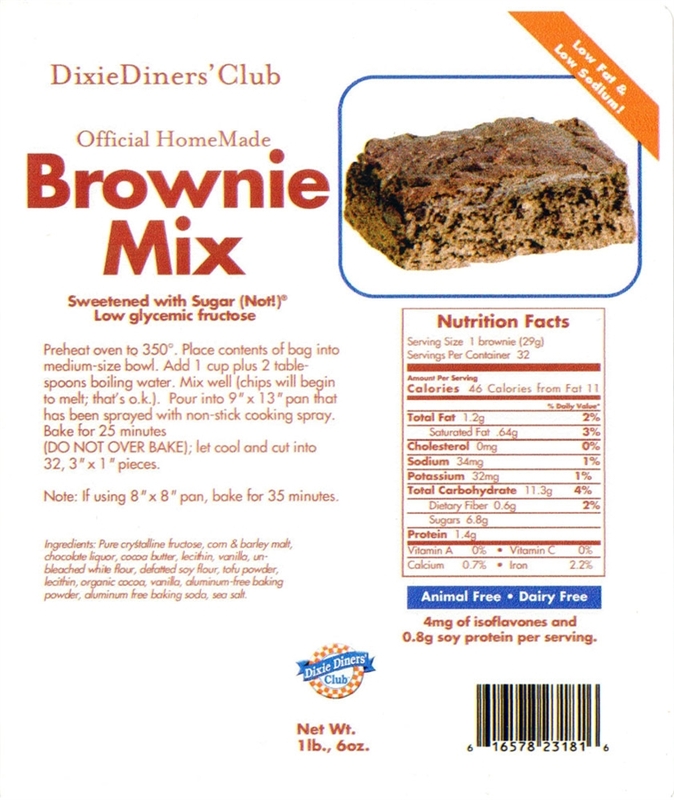 Add boiling water to this powdered mix, pour into a baking dish, and bake for 25 minutes. Keep this brownie mix in your pantry for a fast and fun vegan dessert in a pinch. This 1.5 lb. bag makes 32 servings of vegan, melt in your mouth brownies. First time trying this brand of vegan brownies. Thought they were delicious and I will want to buy more in the future. Thanks for having this yummy treat on your website. O they taste out of this world.